Prayer, like most spiritual practices, is subject to a spectrum of opinion and conviction as to how it is best practiced. Prayer in a word, means different things to different people. 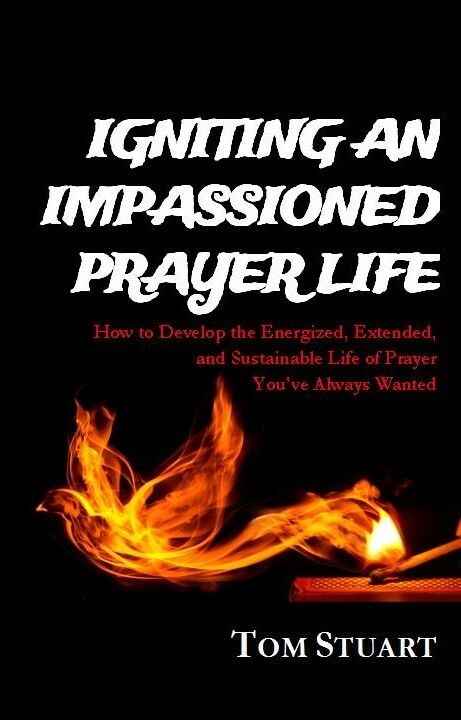 Typically we associate prayer with some form of communication and personal encounter with God. The term prayer has been applied to everything from experiencing a silent awareness of His presence to a cacophonous expression of verbal petition. There is tension therefore, particularly within Christian ranks, between the silent end of the spectrum in what might be termed communion, versus the verbal petition end of the spectrum which could be termed intercession. Jesus validated this wide spectrum of prayer Himself, by demonstrating a prayer life that embodied both communion with His Father in silence as well intercession with strong crying and tears for the needs of others. Let me share a New Testament illustration of each. First we have the picture of Mary sitting at the feet of Jesus. Her simple enjoyment of His presence is a beautiful illustration of contemplative communion. She chose His presence over performance, unlike her sister Martha, and Jesus rewarded her by affirming that she had chosen the “better” part. (Luke 10:42) To all those like Mary who are naturally inclined to the communion side of the spectrum of prayer this is a very nurturing and encouraging story. As for the intercession end of the spectrum we have a great illustration in the book of Acts when Peter and John returned after having been arrested for preaching the Gospel. In response to the threats of the chief priests and elders we are told they and all those gathered “raised their voices together” in intercession beseeching God to undertake on their behalf. The prayer was so powerful that “the place where they were meeting was shaken. And they were all filled with the Holy Spirit and spoke the word of God boldly.” (Acts 4:24, 31) To all those like myself, who find at the core of ones being a drawing to intercession and verbal petitioning, this story stirs faith to do the same. Now is the form of prayer termed “communion” as illustrated by Mary a better form of prayer than “intercession” as illustrated by Peter, John and the disciples? After all Jesus did say to Mary that she had chosen the better part. But the comparison Jesus was drawing was not between to two ends of the prayer spectrum, communion versus intercession. It was a comparison between communion with Jesus in a place of rest and serving Jesus frantically from a place of unrest. Is intercession then a better form of prayer than communion? After all it did trigger an earthquake and result in anointed boldness to preach the gospel. Can communion with God do that? Well, let us consider for a moment this Mary of Bethany, as she is known, who sat at Jesus feet. There is evidence from her life that she also experienced a tremor from that encounter. The quaking she felt however was in her soul and it filled her with a resultant boldness. Many traditions identify her as the one who interrupted a meal Jesus was attending to pour expensive anointing oil upon Him. Some even have her as a Mary who stood unashamedly at the foot of the cross and as one of the myrrh bearing women who came to the tomb when everyone else was afraid. Now that’s boldness! Here’s the bottom line. I do not believe one form of prayer is inherently better than another. Both are necessary and both accomplish God’s good purposes in and through us. We are going to be doing both in heaven. The world needs communing contemplatives and interceding intercessors and every other expression that populates the spectrum in between! Each of us must find and move in our unique way of communicating with and encountering God. And we must find ways in which to encourage and complement one another in our respective giftings and callings. Where does your natural prayer style fall in the spectrum? Praise God His faithfulness to you and your mother! Joining you in prayer for her!